Since then he has come to Australian multiple times as well as toured around the world, spreading the joy of the Sugar Man, which he never got to do in his younger days. He’ll be returning to Melbourne to headline the ‘A Day On The Green’ festival – for which we are official providers of Melbourne bus hire and event transportation. To get you excited before the show, we’ve put together some interesting facts you probably didn’t know about Rodriguez. It’s true! Although his career in the USA never took off, Australia was enjoying his music long before his resurgence. A copy of his debut LP Cold Fact made its way down to Australia in the late ‘70s where it was played on the radio by a DJ named Holger Brockman, who played it on 2SM in Sydney. After that, his album got an official release in Australia by Blue Goose and he was tracked down by promoters in ’79 for a 15-show tour where he played to crowds of 15,000 people. One of these shows was even recorded and released as a live album. He returned in ’81 for another stretch of shows before he faded into obscurity again. From the early ‘80s to late ‘90s, Sixto Diaz Rodriguez did a multitude of different things. He studied and graduated from Wayne State University in Detroit in 1981 with a BA in Philosophy. He also attempted to run for political office a handful of times, having been a candidate for State Representative twice, City Council three times, Mayor twice and even running to be a Senator once. He was also involved in renovation work and demolitions for many years in the Michigan area. It was in these later years that his music began to take off in South Africa as many of the people were relating his lyrics to their current political climate. He had no idea of this success though, or the royalties he was entitled to from all the sales in South Africa. 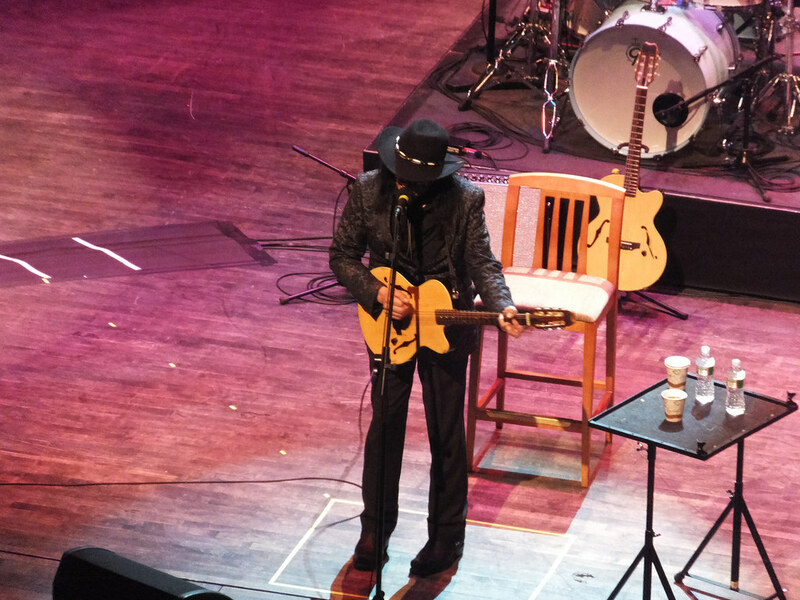 Some say there were rumours of Rodriguez’s death even in the 70s when he was still playing, but the majority of the rumours about his death seemed to originate in South Africa when his music became popular again. Little did anyone know he was living in Michigan, Detroit, doing construction work around his city. This is where Cape Town fans Steve Segerman and Craig Bartholomew-Stydrom got together and tracked down Rodriguez, alerting him to his newfound fame in South Africa. With the resurgence of his music career, money has come as well. After the Searching for Sugar Man documentary was released, Rodriguez was getting calls about touring all around the world. He was playing to sold-out stadiums and massive festivals like Glastonbury and Coachella. His net worth is currently $2 million US dollars. According to a Rolling Stone article from 2013, he doesn’t use much of the money for himself, but instead gives it away to his family and friends, as his philosophy is that he only needs three basic needs: food, shelter and clothing. Rodriguez suffers from Glaucoma which is an eye disease in which the patient’s optic nerves are damaged. As a result of this, Rodriguez is particularly slow in his movements and is usually receiving assistance from someone. His children say they try to do all they can to make his tours easier and comfortable for him, such as booking him into first class on aeroplanes. Rodriguez returns to Melbourne to headline ‘A Day On The Green’ on the 16th of February at Rochford Wines in Yarra Valley. To get you there, you should ensure you’ve got the best bus hire in Melbourne and book with Melbourne On The Move coach services. As the official Melbourne bus hire and event transportation partners for ADOTG festival, you’ll feel safe in the knowledgeable hands of our experienced and friendly drivers. If you’re interested in booking our transportation services for ADOTG, then please get in touch with us today on 1300 55 86 86.